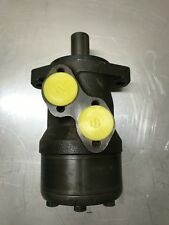 Hydraulic motor, 200 CC (12 CU IN ) SEA 2 bolts flange, connection: 7/8 UNC 14, 1" Spline 6B. Brand new condition, packaged in a plain cardboard box. Description: Graco K16D Agitator Pneumatic Motor 222698 - WPR: 7bar 100psi - New Condition: New, pre-owned, unused. There is no packaging (item was found in a box but it was not the original box for this item). The item inside is clean, new and unused. 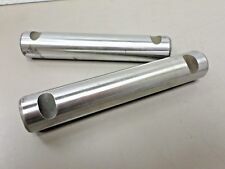 The connectors and rotary shaft are unmarked. There are no instructions. There are no accessories. 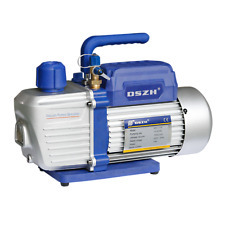 Used in The HVAC industry,vacuum forming, scientific and printing industry, fiberglass infusion, anywhere a deep vacuum is needed. For all your HVAC needs. Oil Anti-flow back Design - the air passage is specially designed to prevent oil from flowing back to contaminate chamber after pump stopped. Brand new hydraulic motor. Sauer danfoss part # 151-6409. For raymond lift trucks and raymond part # 104-3600. 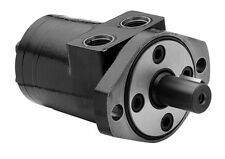 Char-Lynn 101-1011-009 Hydraulic Motor 585RPM 1800PSI ! WOW ! 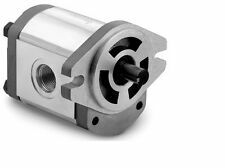 Danfoss 151-2304 DS 125 Hydraulic Motor ! NOP ! HYDAC Fluidtechnik - Hydraulic Feed Pump FZP3/4.0/V/100/70/RV7 "BRAND NEW"
Parker TB01-95FM-100AAAB 4-Bolt TB Series Torqmotor Small Frame 1800PSID ! WOW ! Danfoss OMS 160 Hydraulic Motor 151F2319 ! NOP ! 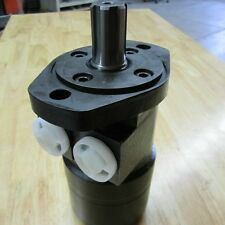 This is a Sauer Danfoss DH80 151-2042 hydraulic motor. It is equivalent to a Char-Lynn Eaton 101-1034-009. The pictures you see are of the motors as they were found. 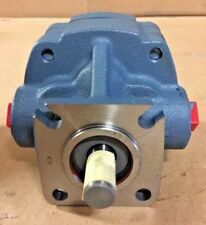 Eaton 103-1022-012 4-Bolt Hydraulic S Motor 253RPM@15Gal/Min 2500PSI ! WOW ! Formax Cashin 1027-4507-C-A-R Spiroid Motor Kit ! RFB ! Parker TB01-95FS-100AAAB 4-Bolt TB Series Torqmotor Small Frame 1800PSID ! WOW ! Gast 6AM-FRV-33 Lubricated VANE Type Air Motor *Fast Shipping* Warranty!